If you don’t want to lose your account it is recommended to connect your village to the Game Center (ios) or Google+ (Android). If your device gets broken, stolen, lost or reset you lose the ability to play your village. If you move to a new device your village will not transfer with you UNLESS you save to Game Center/Google+. 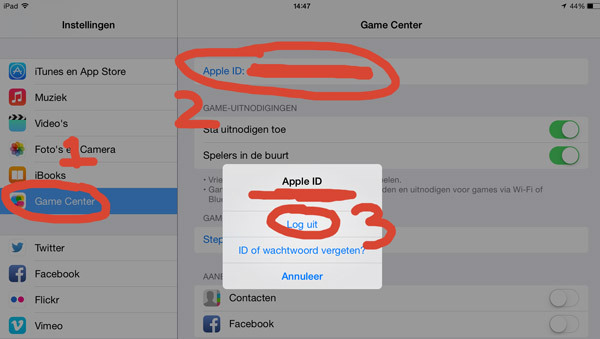 Game Center is an ios app on your Apple device. It saves all progress for the games you are playing on the Apple servers. It also serves a social function; you can connect with friends, see each others progress, create challenges and complete achievements. Your village will automatically be saved in your logged in Game Center account. 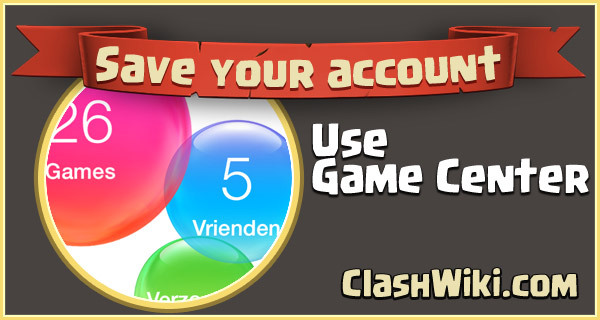 If you don’t have a connected account you can create a new Game Center account and start Clash Of Clans. Your base will then automatically connect itself with this Game Center account. How will I know that Game Center works? You can see the Game Center sign-in message when you start Clash Of Clans. It will state: Welcome back, Player. If you see this message your account is liked with Game Center. If you see this message your coc account is connected. If you are logged in to a Game Center account which is not yours and you want to load your own village you must login with your own account. Your nickname must appear here. If this is not your nickname you must sign out of the Game Center account, go to: Settings -> Game Center. Then tap on the Apple id and sign out. Now you can create a new Game Center account or sign in with your existing account that is not linked to a base before. You can link only 1 base to an account. If you sign in with an account that already haves a base it will be loaded with that base instead of your current one! You can link a base with Facebook, but beware: This is NOT a recovery method! Is is only to invite friends to Clash of Clans.